In the early 80’s Duran Duran released a hit song titled “Hungry like the Wolf“, today I can’t get it out of my mind as I put on this rich cool toned blood red lipstick. 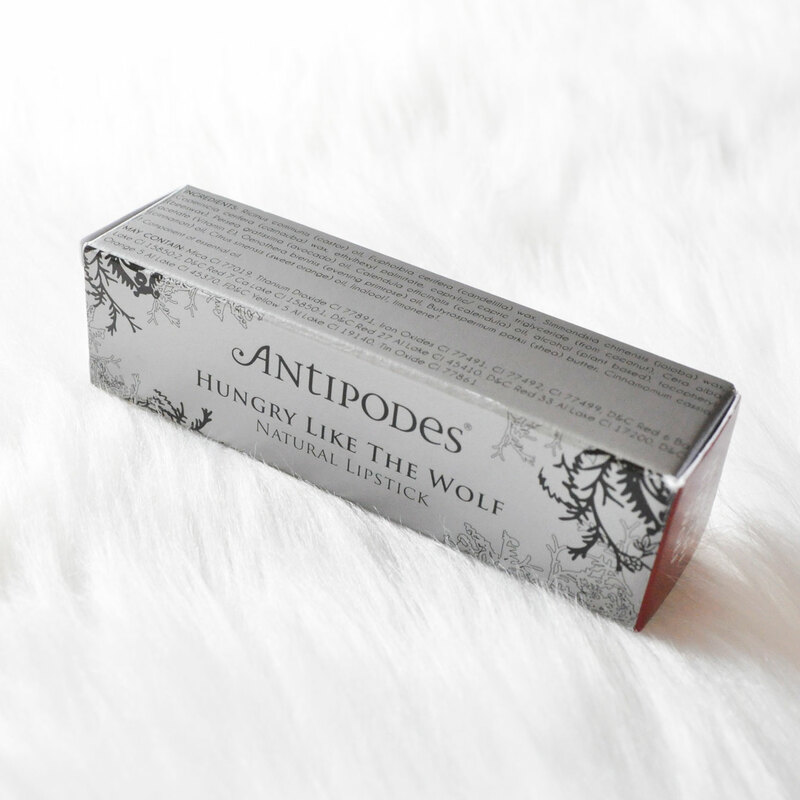 This gem is made by Antipodes, they are a certified organic eco friendly, premium natural skin care and makeup company based in New Zealand. 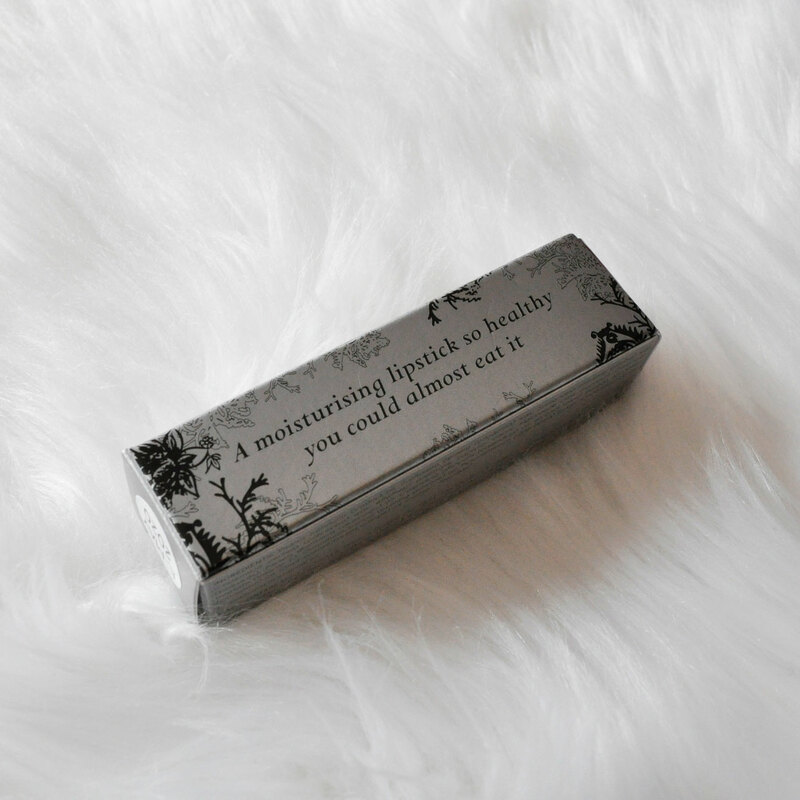 This mineral lipstick is housed in a modern black bullet, the formula is infused with avocado oil and is hydrating and nourishing on the lips. It is highly-pigmented, lightweight and creamy in texture giving you full-coverage in a single stroke with a semi matte finish. 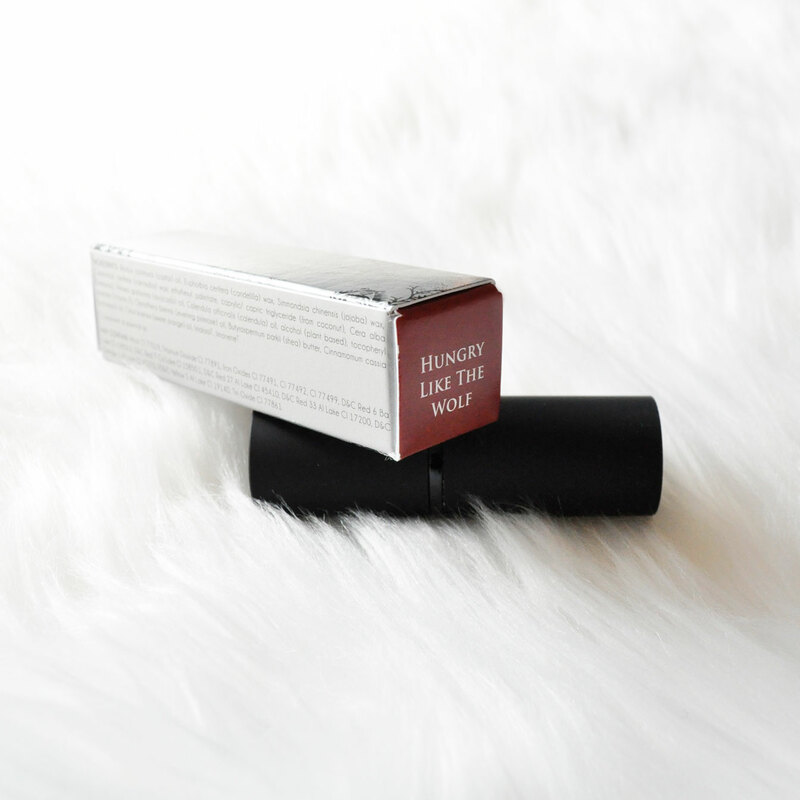 This classic red lippie paried with nothing but black mascara would be flattering on all skin types. Oh my gosh the colour is so bright! It’s lovely!